Basket updateWe have noticed that you already have a basket. Your new items have been added to your existing basket. Voluptuous softness. 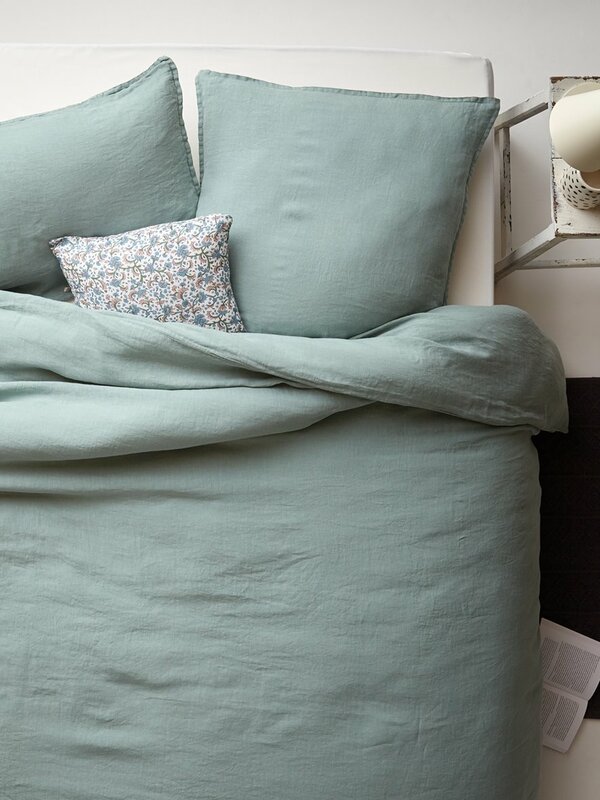 Washed linen for the pleasure of sliding between the sheets. Colours to match for even more modernity. Cyrillus Creation. Pillowcase with 1cm flat frill. Machine washable at 40°C. Made in Portugal. Tip: for even more softness, we recommend you dry your bed linens in the clothes dryer. This product contains linen. Linen is a natural fibre that is non-allergic, insulating and respectful of the environment. It adds elegance, durability and supple drape.